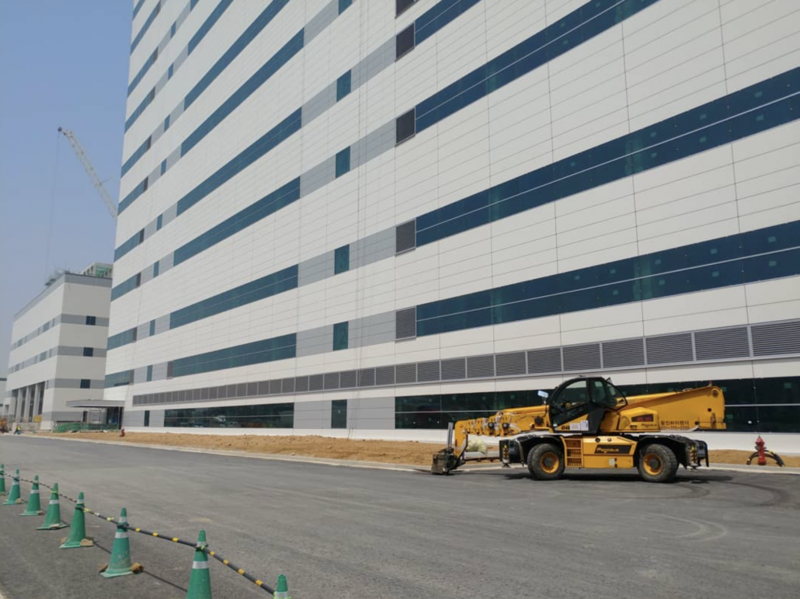 With 2.5 million inhabitants, Incheon is the Republic of Korea’s third-largest city and one of its biggest economic centers: many famous Korean brands, especially in the field of engines or electronics, have located their headquarters, production plants or research centres in this northwestern metropolis. 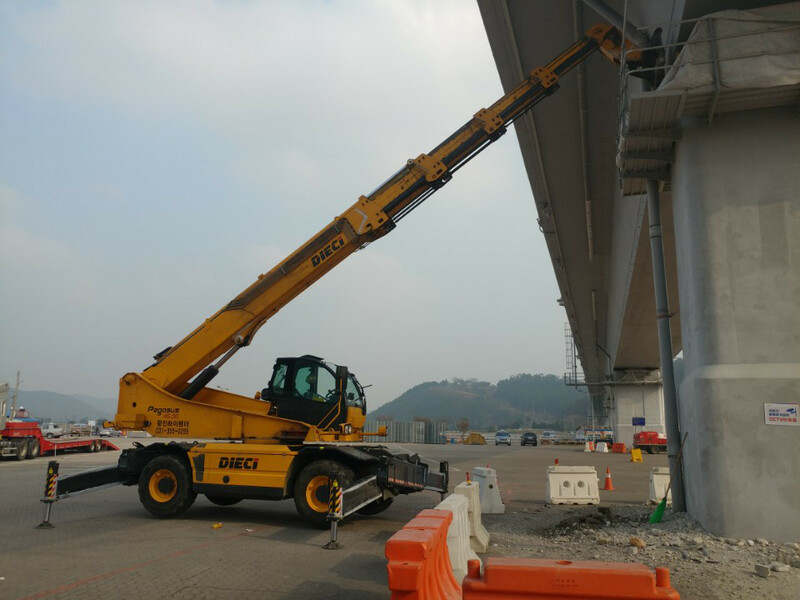 Incheon is also South Korea’s largest commercial port, a hub of intense trade with Asia, Australia and Western countries. 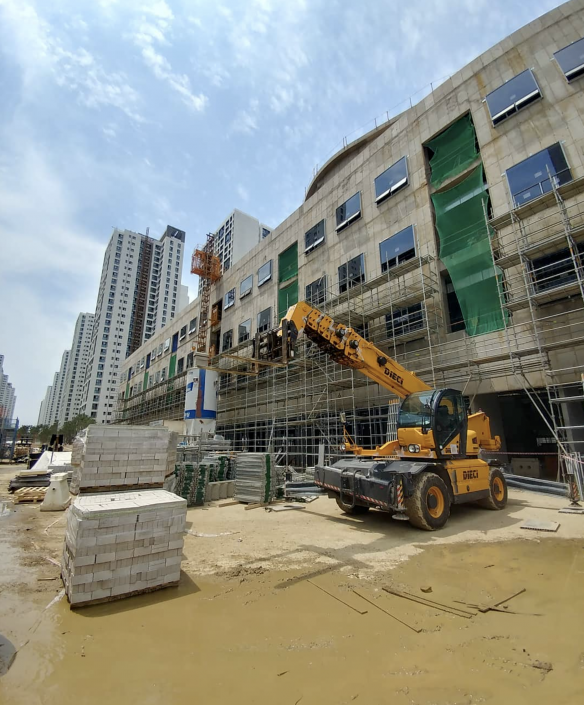 As a result of the city’s significant trade volume, its real estate market continues to grow, with new buildings, offices, and above all renovations following each another at an incessant pace. 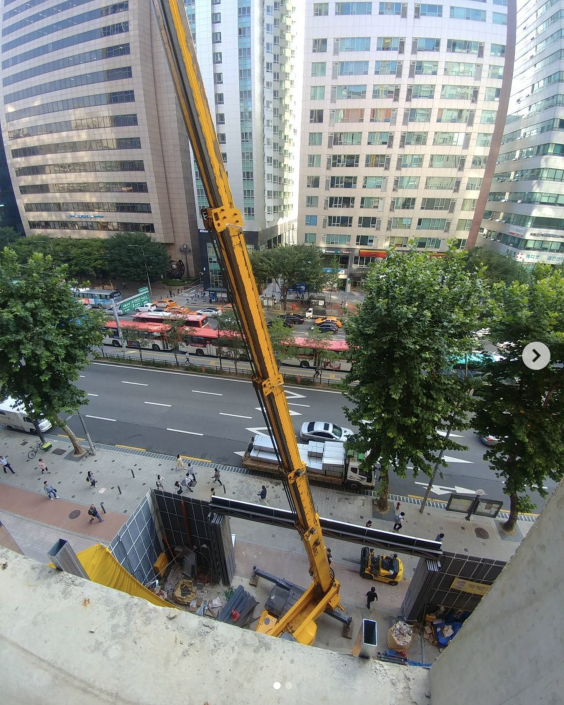 Of course, most developments expand vertically due to the high cost of building land. 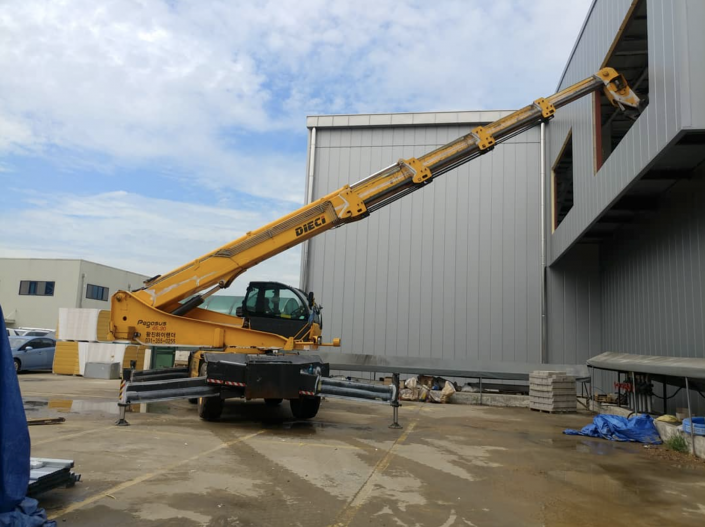 So it is no coincidence that Incheon is the base of WANGJIN LIFTING SOLUTIONS, which also operates throughout the rest of the country. 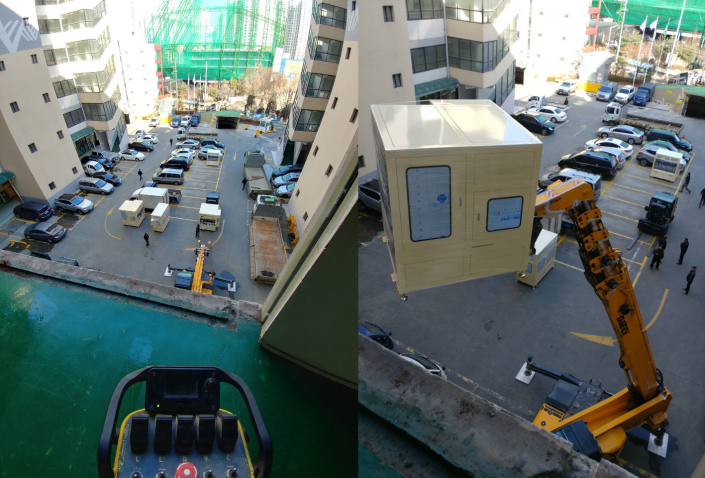 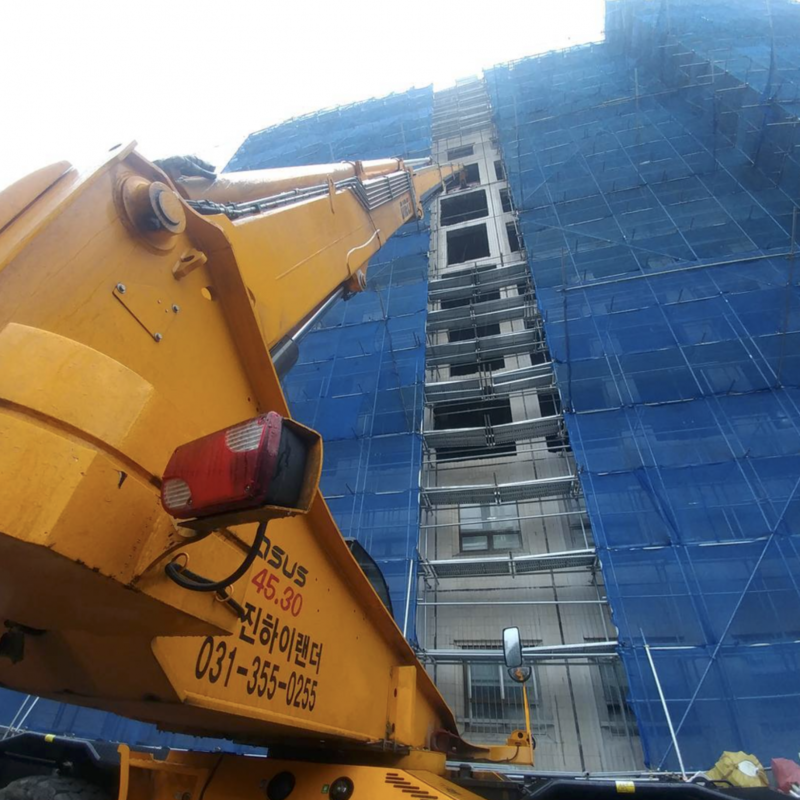 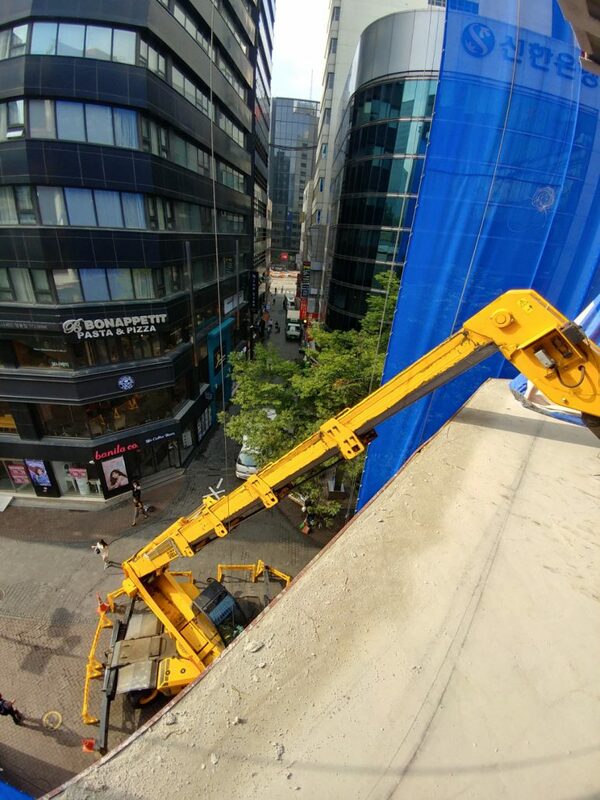 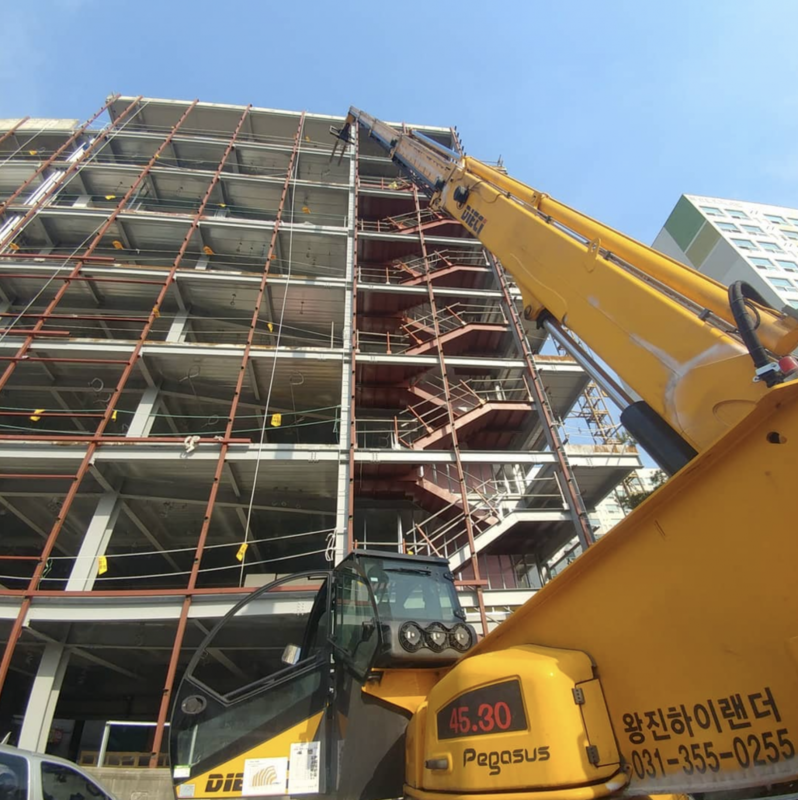 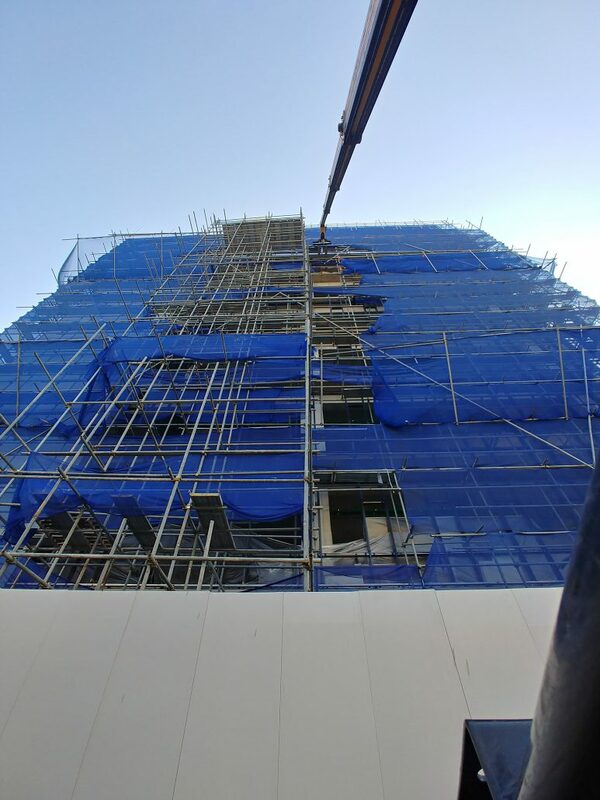 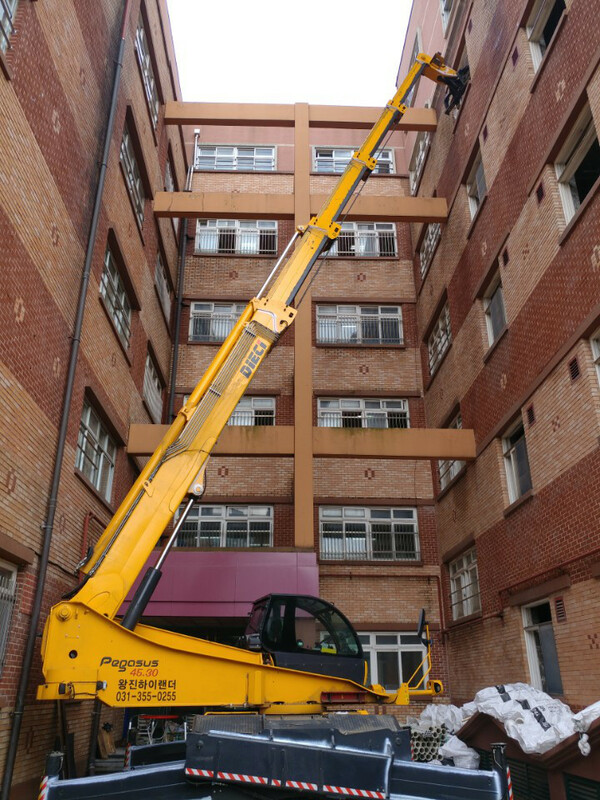 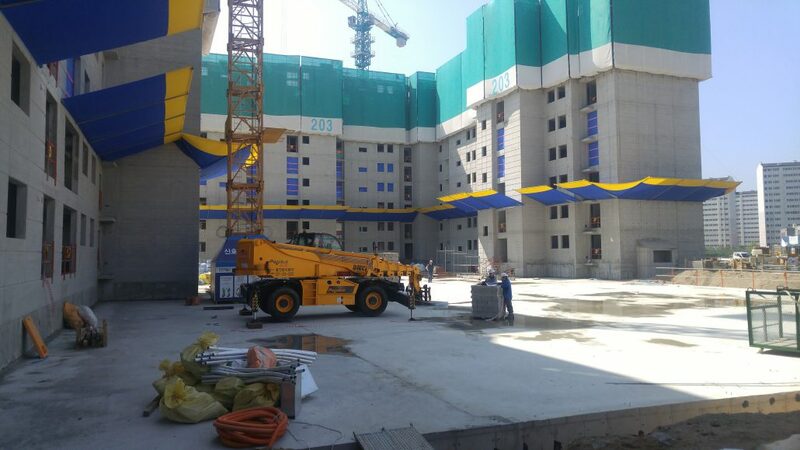 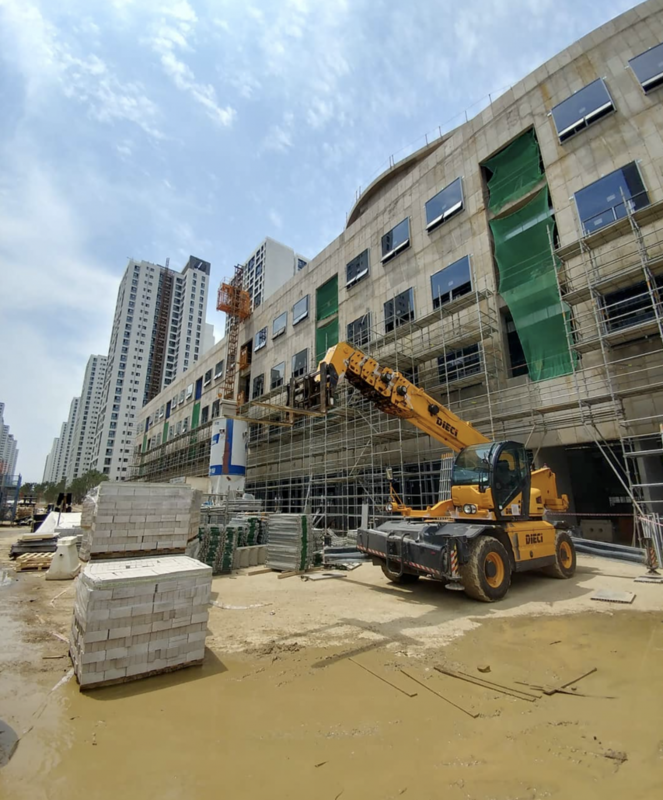 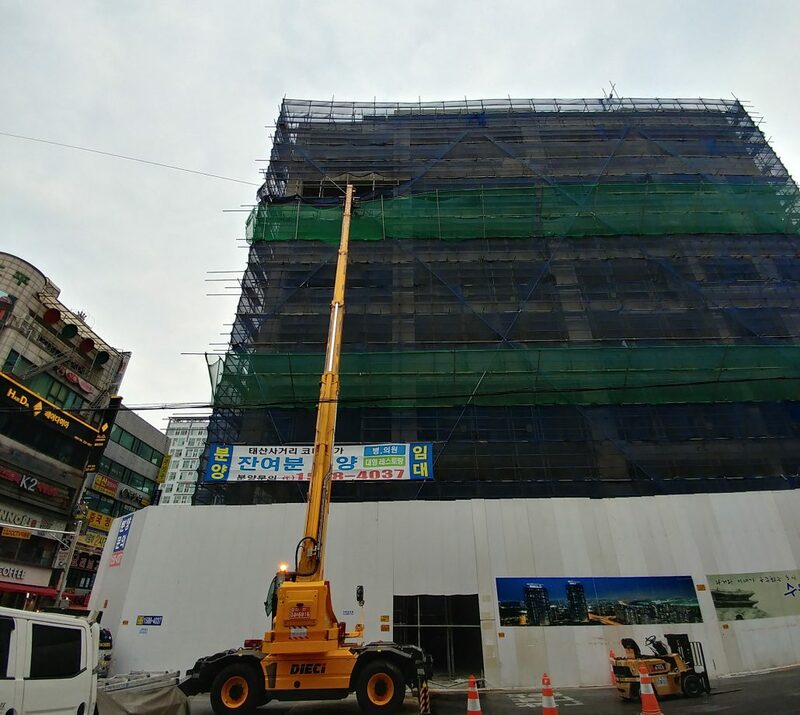 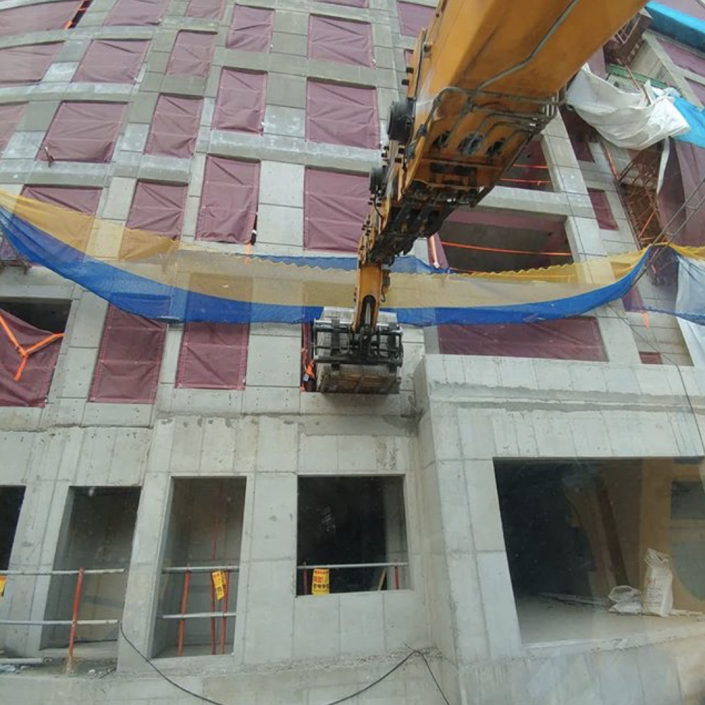 Wangjin specialises in lifting materials at great heights and in tight spaces, characteristics that are typical of large urban centres in South Korea. 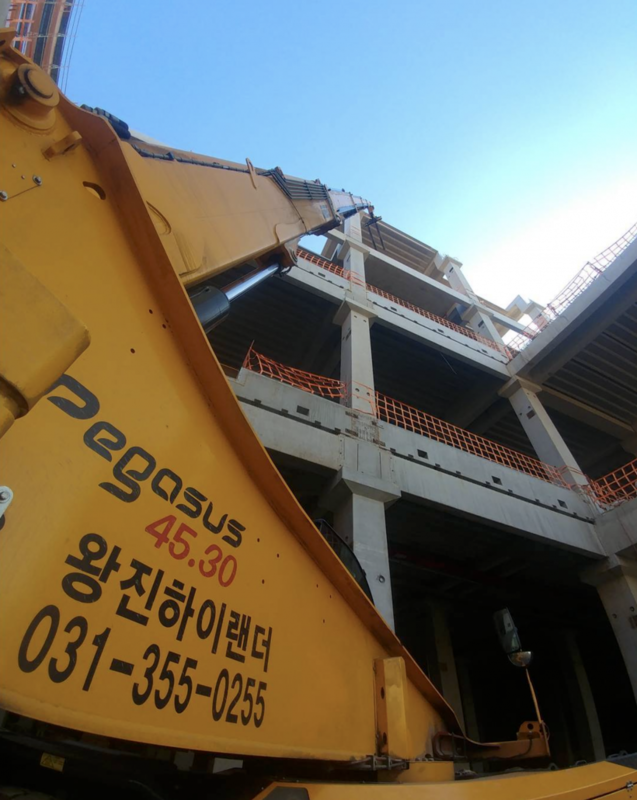 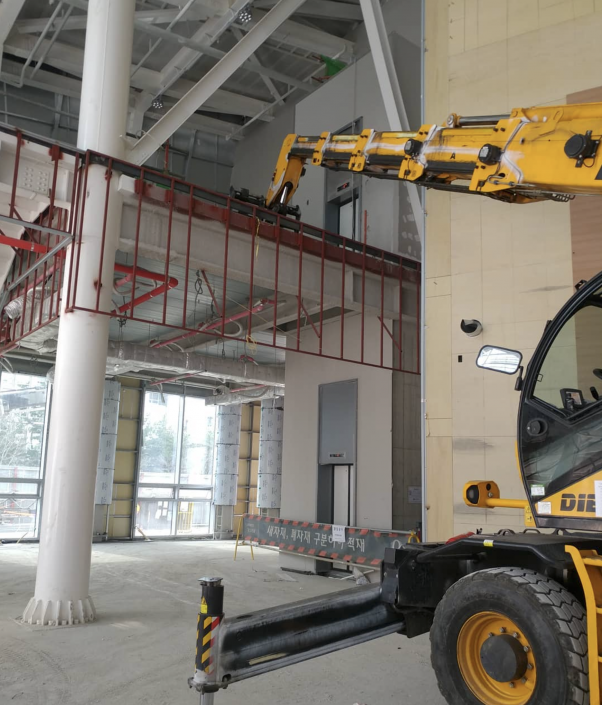 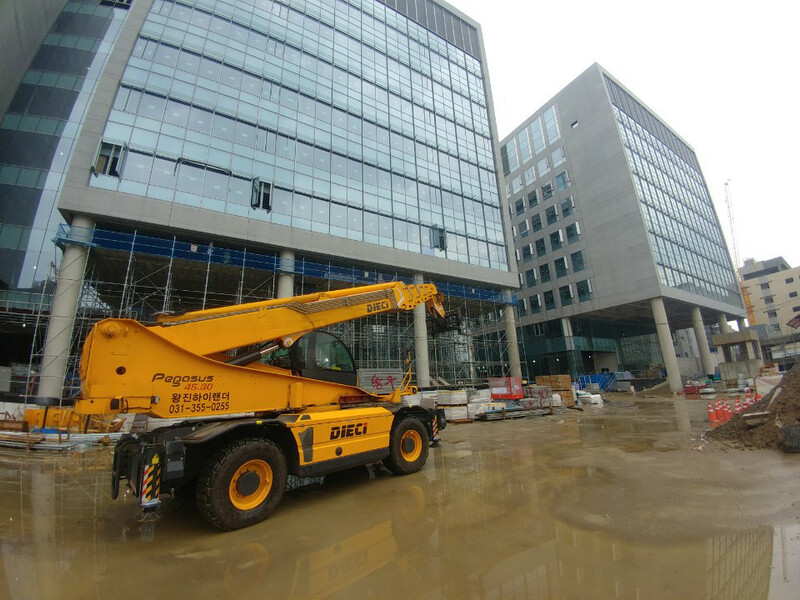 Wangjin’s Pegasus 45.30 is constantly on the move—often completely independently—in the streets of Incheon, at the port or even in the capital Seoul, wherever there is need to lift heavy loads to heights of almost 30 metres using its boom. 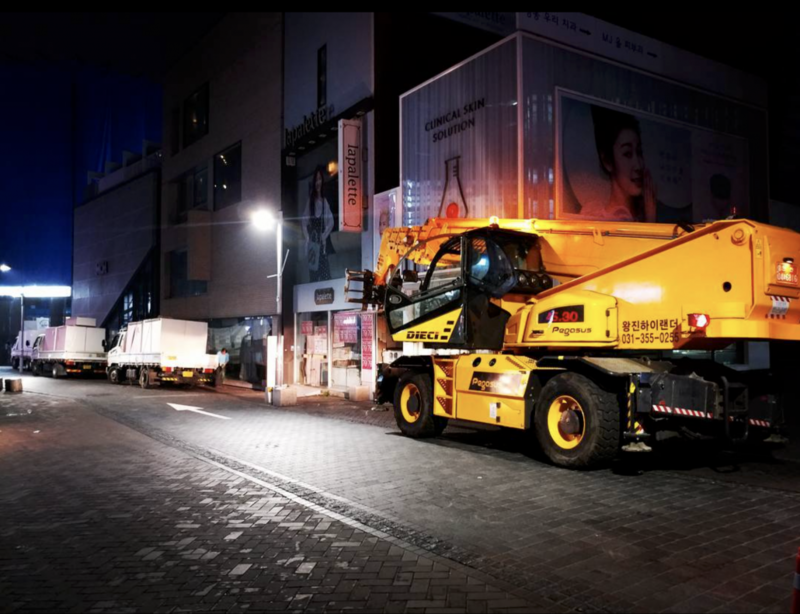 Thanks to the remote control, rotating turret and four steered wheels, the Pegasus is able to work safely even in the confined spaces of a large city, lifting loads up to 4500 kg without a problem. 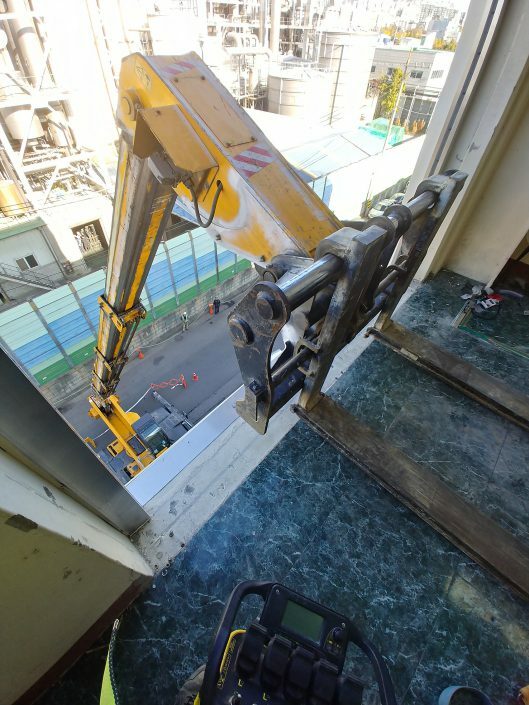 Furthermore, it can be fitted with a whole series of accessories to meet every need. From large air conditioning units to ornate tiles, Wangjin’s Pegasus is always loaded and on the move, keeping pace with a big city that is in constant flux.